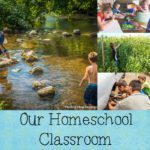 Having a homeschool classroom at home is one of those spaces that many parents feel is a must when wanting to start homeschooling. It makes sense, right? 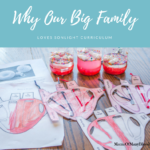 It’s an area that is separate from the other aspects of the home and allows for you and your children to really concentrate on the curriculum at hand. But what happens when you just don’t have that extra space in your home to have an entirely separate homeschool classroom? It happens, but it shouldn’t be something that deters you. 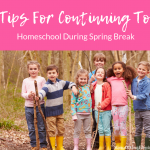 There are plenty of ways to homeschool in other areas of the home or locations that it actually isn’t any sort of a roadblock at all. 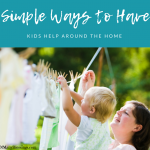 If you are searching for ideas on how to homeschool without an actual classroom, here are a few to help get you started! Utilize the space at the kitchen table. When it comes down to it, all you really need is a place that it can be quiet for you and your student to work together, and an area where there’s room to complete projects and tasks. If you don’t have a separate classroom space in your home, consider using the kitchen table area as your home base. It can be a bit messy and tricky to make it all work but once you start doing it, you’ll realize how easy it truly is. By planning out the day effectively, you shouldn’t have any issues at all. Keep a few tubs or storage containers in the vicinity so that the table can be cleared off for meals, and it’s a great way to make a classroom environment without actually having the classroom. Take it outside. If you live in an area where the weather allows, who says that you can’t take your classroom right out the front door and learn out in nature? Picnic tables, folding chairs, blankets…all great spaces that you can teach and learn from. And if you think about it, having an outdoor classroom isn’t actually a new concept, right? Schools and teachers all over the world do this as often as they can now when the weather allows! It’s a pretty cool concept to consider homeschooling year-round in your outdoor classroom. Homeschool wherever you and your children are inspired that day. If it’s from the couch, the couch sounds perfect. Or if you and your children decide that today you want to homeschool out on the porch swing, who says that it can’t happen? 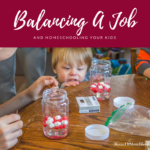 There are so many ways to utilize the space and areas all around you that the thought of limiting yourself to an actual homeschool classroom almost seems as if it could be counter-productive. Have fun in the fact that when you homeschool, you get the opportunity to be out and about and enjoying everything that nature has to offer. You and your children literally have the opportunity to turn anything and everything that you do into a learning environment. And the amazing part is, that’s unique! 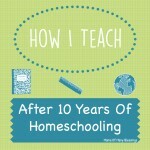 Don’t limit your homeschooling experience by trying to keep it as traditional like the public schools. You have the option to truly let your child explore and learn from things going on around you at all times. Talk about an amazing lesson in itself! When it comes to homeschooling, don’t talk yourself into thinking that you have to have a classroom to be able to function. Instead, look at all the opportunity that is just waiting around you. 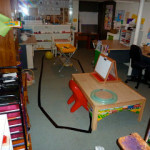 Have fun communicating and planning with your children on where you want to teach and learn for the day, and then embrace the fact that you have the opportunity to do so! 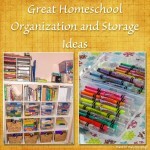 Homeschooling opens up so many fun and unique opportunities!